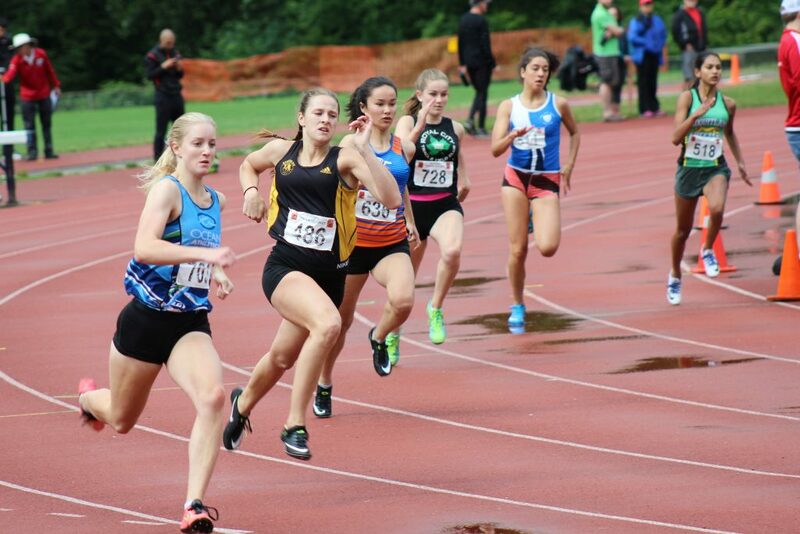 Coming into our home stretch of track meets, Striders athletes collected lots of hardware this past weekend at the 4th Annual Universal Meet in Surrey. Overall 7 Gold medals, 2 Silver and one Bronze to show for all the hard work and persistency. It was a wet and cold couple of days, but congratulations to the following podium finishers! Gold: Joe (60m, 100m, 200m, Long Jump), Ava (300m), Marisa (Long Jump), Katelyn (200m). Silver: Max (Long Jump), Brendan (300m).